Some herbal remedies, including slippery elm, have been touted as a treatment for diarrhea. However, little scientific evidence has proven it effective in treating people with diarrhea, according to the University of Maryland Medical Center. Before using slippery elm supplements, speak with a knowledgeable medical professional. 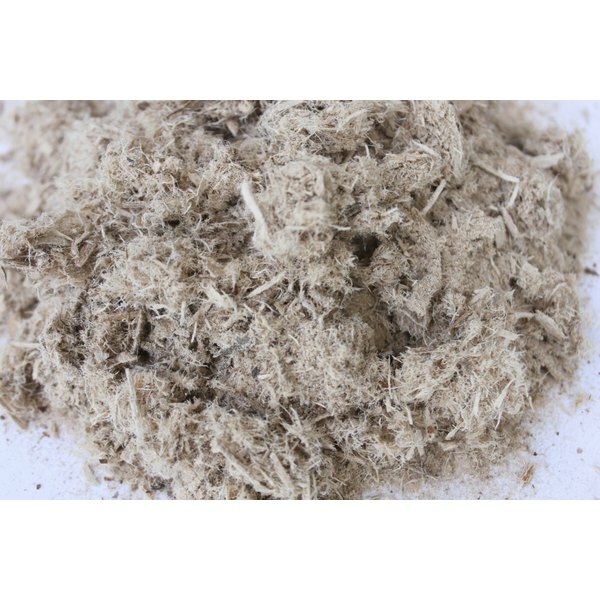 Slippery elm supplements contain the ground-up inner bark of the tree, according to the University of Michigan Health System. The tree is native to North America and still grows in abundance across the United States and Canada. The trees are considered medium-size, topping out at about 50 feet tall. The foliage grows up and out and produces a crown shape. The bark of the slippery elm tree contains chemical constituents that might be beneficial in treating certain medical conditions. In the case of diarrhea, fiber present in the bark helps move food through the intestinal tract and also absorbs toxins, according to the Memorial Sloan-Kettering Cancer Center. Other chemical constituents in the bark are tannins, which have an astringent effect, and mucilage, which can be effective in treating coughs and respiratory conditions. Before using slippery elm to improve diarrhea, speak with a qualified health practitioner. Slippery elm supplements intended for internal use are available in capsule, tincture and tea form. If you are taking capsules, the recommended dose is 400mg to 500mg three or four times a day, according to the University of Maryland Medical Center. As a tincture, you can take 5mL three times daily. To make a slippery elm tea, pour 2 cups of hot water over 4g of powdered bark and allow it to steep for three to five minutes. The resulting beverage can be consumed three times a day. Slippery elm supplements are considered safe when taken as directed. No health risks are posed to women who are pregnant or breast-feeding, but because the outer bark of the tree contains chemicals that might increase the risk of miscarriage, women who are pregnant are sometimes advised to avoid slippery elm supplements, according to the University of Maryland Medical Center. No serious side effects have been linked to the use of slippery elm bark, according to the University of Michigan Health System. However, the supplement might interfere with the absorption of other medications. Take slippery elm at least several hours before or after taking other medications or supplements. Always consult with a medical professional before taking slippery elm so you understand all the potential risks.